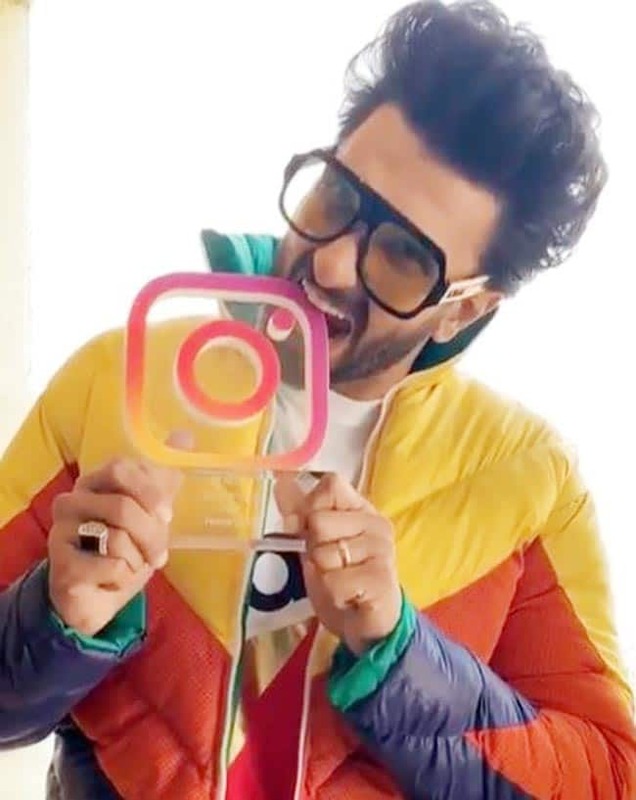 In the clip, Ranveer is seen humorously biting off the edge of the Instagram logo. Sharing the boomerang video, Ranveer captioned it, "20M! Thanks @instagram fam! ????????????" (sic).